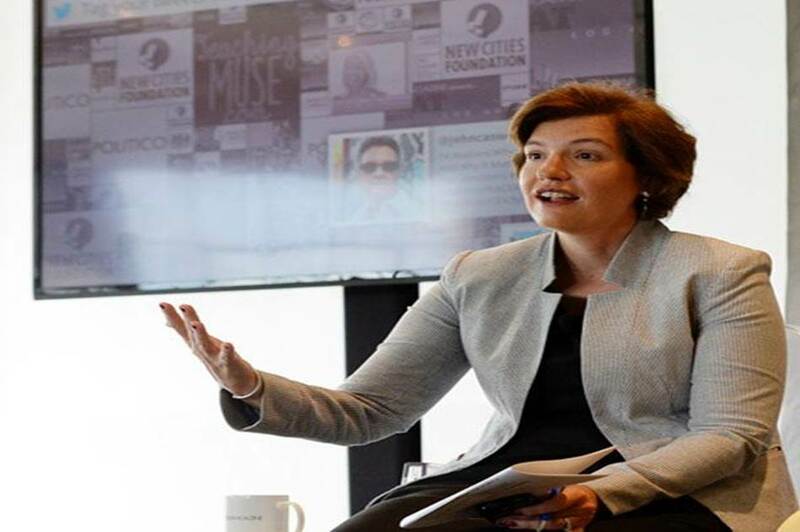 Susan Glasser has been named editor of POLITICO, according to a memo issued this morning from the Rosslyn-based political news outlet’s CEO Jim VandeHei, editor-in-chief John Harris, and COO Kim Kingsley. “Susan is among the smartest, most innovative and creative editors around,” write VanDeHei, Harris, and Kingsley. The memo says that she will soon name an executive editor, the position of Rick Berke, who announced his resignation earlier this month. 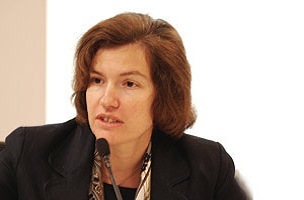 Glasser, who joined POLITICO Magazine as editor in late 2013, worked for years with VandeHei, Harris, and Kingsley at The Washington Post, prior to her forced departure in 2008. See the full memo after the jump. Susan Glasser, the architect of our award-winning magazine and soon-to-be-unveiled digital platform, will be the new Editor of POLITICO. Susan is among the smartest, most innovative and creative editors around. We are confident you will be very inspired by her passion and vision for the next phase of our journalism. She will have our full authority to run our magazine, Pro and core coverage going forward and will be naming a new Executive Editor to help run the newsroom day to day. Susan has shown the great power ambitious long-form reporting can have on our site. But she’s also as obsessed as we are with dominating news coverage of Congress, politics, the White House and policy. Her thinking − and portfolio in this newly designed job transcends the writing and editing. Susan will help us sharpen and deliver on our strategy. She shares our belief that POLITICO is better positioned than any company to exploit this moment in journalism. We have a brand powerful people need, read and enjoy and an exceptionally talented staff delivering the goods each and every day. Our challenge is to extend our dominance in this space and expand our reach − in Washington, key states and the world. That is why we are redesigning our digital properties, redoing all of our technology, expanding into Europe, exploring new state versions of POLITICO and growing our operation and leadership here. Thanks to you, we are creating a rare sustainable oasis for serious, reported journalism. And, thanks to Chief Revenue Officer Roy Schwartz and his business team, it’s built on a proven and scalable financial foundation. Big growth requires expanded roles for lots of people. John, our editor-in-chief, will be turning his attention to expansion and play a huge role in getting Europe up and running. As we announced earlier, Danielle Jones and Miki King will be taking on broader company-wide positions to help bring our big ideas to life. Robert Allbritton, our Publisher, has given all of us a firm mandate to put in place a robust enough leadership team and staff to sustain big growth. Susan’s experience and expertise are central to our planning. She reinvented a Capitol Hill publication (Roll Call); transformed a venerable institution (the Outlook section at The Washington Post); revolutionized a niche digital company (Foreign Policy) and created from scratch the smartest magazine here at POLITICO. Susan is also an accomplished reporter, covering everything from wars overseas to the influence of money in politics in Washington. Now, she will run our newsroom. With the three of us, Roy and Danielle focused on growing POLITICO here and beyond, we need someone who shares our ambition and obsession with excellence. That is Susan.